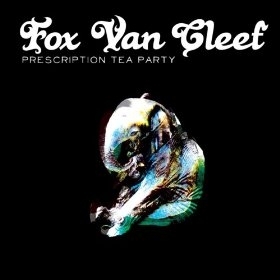 Fox Van Cleef couldn’t have picked a better title for their first full-length album. The five-piece ensemble have blended elements of funk, psychedelic, rock and blues into a overwhelming concoction of music that doesn’t really match any other Utah band. The album has its share of short hooky numbers and long influential jams, along with added surprises like a horn section and guest appearances from several established musicians such as Andrew Milne from Spell Talk and Josaleigh Pollett. The only downside that Prescription Tea Party will have to face with audiences is that it may be too experimental for original fans. Fox Van Cleef have grown immensely as musicians over the past three years, but now have little resemblance to their original incarnation that drew crowds, which could be a turn off for many. Overall however, Prescription Tea Party could be one of the finest albums composed in 2011.